Fred Flaxman, a longtime producer and executive in public TV and radio, died of an aortic aneurysm Aug. 29. He was 75. Flaxman’s television and radio career spanned many years. He began at WETA-TV in Arlington, Va., as special assistant to William J. McCarter, the station manager (1968–1970). He was then asked to start WETA-FM, which he ran from 1970–1974. He then returned to WETA-TV as director of programming (1974–1977) and then as v.p. for programming (1977–1978). While at WETA, he won 12 Emmys for TV promotion, writing and producing as well as programming. In 1978, Fred founded Public Broadcasting International, which over the years produced several major specials for PBS, including From Paris with Love: An Evening of French Television, An Evening of Belgian Television, Made in Taiwan: TV from the Republic of China and Prime Time/Japan: Starring Harry Anderson. Back from a one-year stint in Paris, where he worked in programming with TF1 in 1979, he became vice president of programming for KUAT-TV in Tucson, Ariz. 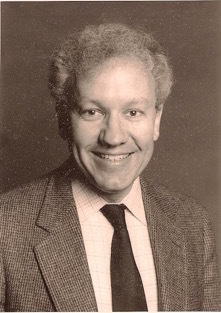 In 1984, he was asked by Bill McCarter to join WTTW-TV in Chicago as vice president for national programming. There he was executive producer of A Child’s Christmas in Wales (1987), which received nine international awards. He was also responsible for Solti at 75: A Celebration, In Search of Love with Leo Buscaglia and several other PBS specials and series. He started the annual Illinois Young Performers Competition with the Chicago Symphony Orchestra and received an Emmy Award in 1990 as executive producer of Messenger to Poland. He later worked for Southern Oregon Public Television and WXEL in West Palm Beach, Fla., where he retired in 2005. Flaxman is also the author of Sixty Slices of Life . . . on Wry: The Private Life of a Public Broadcaster. His articles appeared in The New York Times, The Washington Post, The Wall Street Journal, The Chicago Tribune and many other publications. He is the recipient of a first-place award from the National Society of Newspaper Columnists and the editor and publisher of The Timeless Tales of Reginald Bretnor. Fred also worked in public relations for Prentice Hall and for the planned community of Reston, Va., at the beginning of his career. Later in life, he was the creator, writer, producer, editor and host of Compact Discoveries, an internationally distributed, award-winning public radio music series. The most recent program, on composer Arthur Foote (A Foote for Your Ears), was produced in August 2015 and was his 253rd episode. Flaxman was born May 9, 1940, in New York City, the youngest of three boys. His earliest career goal was to become an elevator operator. He attended Horace Mann, then continued on to the University of Michigan, where he graduated with a bachelor of arts with honors in journalism (1958–1962). After several months of study at the Sorbonne, University of Paris (1962), he received a certificate in French language, civilization and culture. He earned his master’s degree in political science from Stanford University (1962–1963). He later married Annick Story, whom he met through a bulletin board posting at the Sorbonne while looking for an exchange in bilingual conversation. The couple became friends and fell in love over a series of letters exchanged through many months apart. Flaxman later returned to France to see if she was “the one,” and they married in France Sept. 10, 1963. They had two children, Michel (1964) and Tana (1968). In addition to his longstanding and illustrious career, Flaxman was passionate about music, politics, the arts, travel and his wife. He was a hard-working individual who loved being creative in all areas. He felt strongly about receiving a well-rounded and classical education. He was an active and dedicated member of the Weaverville Garden Club (the first male member) and the Ethical Humanist Society of Asheville. He will be remembered for his passionate advocacy of justice, as well as for being a kind and gentle man who would talk to anyone, give them a smile and share his unique sense of humor. He was a loving husband who adored his family. He never regretted not becoming an elevator operator. Flaxman is survived by his wife, Annick Story Flaxman; children Michel Flaxman of San Francisco and Tana Flaxman Jencks of Asheville, N.C.; two grandchildren, Brittany Flaxman Jencks of Berkeley, Calif., and Kaitlin Rose Jencks of Asheville; and his brother John Flaxman of Bridgewater, Conn. He is preceded in death by his parents, Helen and Philip Flaxman of Palm Beach, Fla.; and his brother, Andrew Flaxman of Great Barrington, Mass. Is the writer, Tana Flaxman Jencks, no relation to Fred Flaxman? I need to get in touch with Fred Flaxmans relatives! Please call or text me at:#(515)380-4918. Thank you! Ask for vincent!